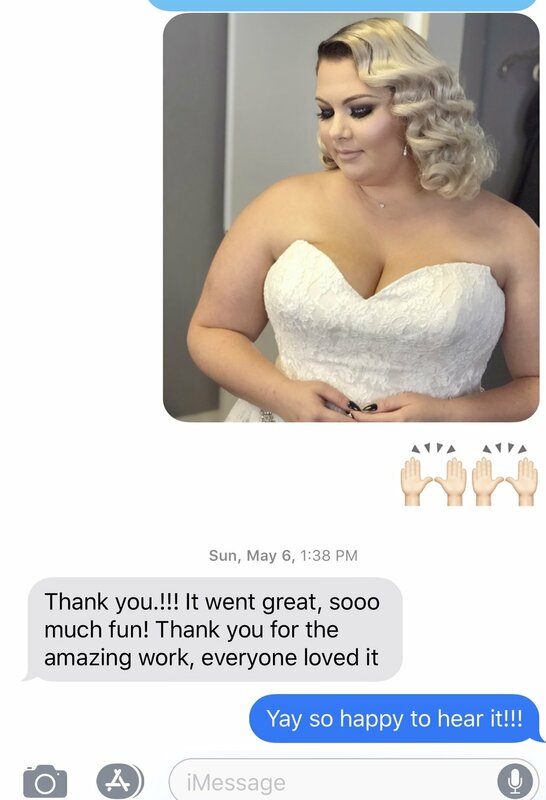 Click these links to read reviews from previous clients! 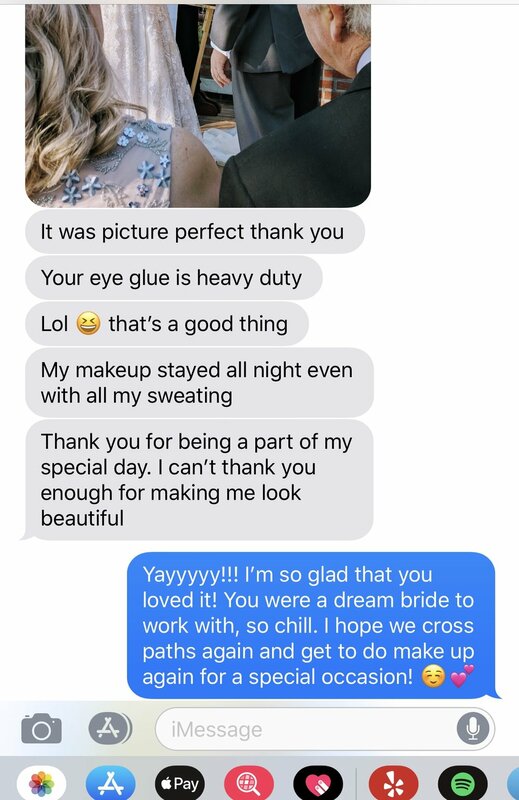 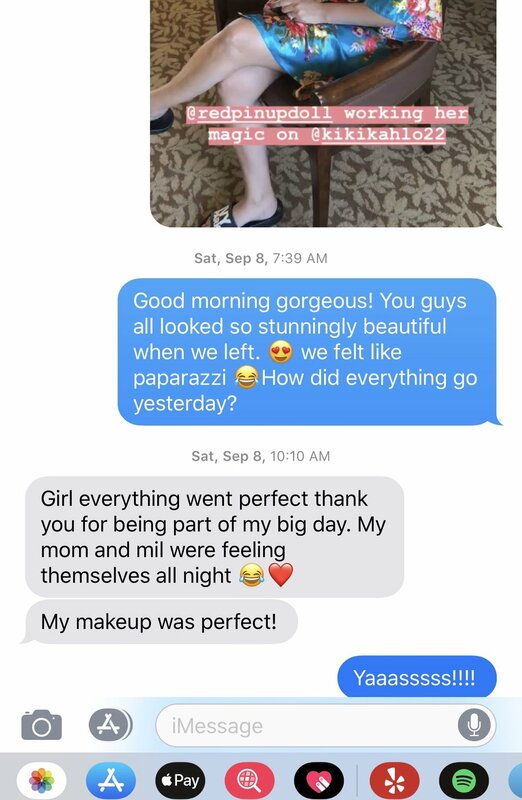 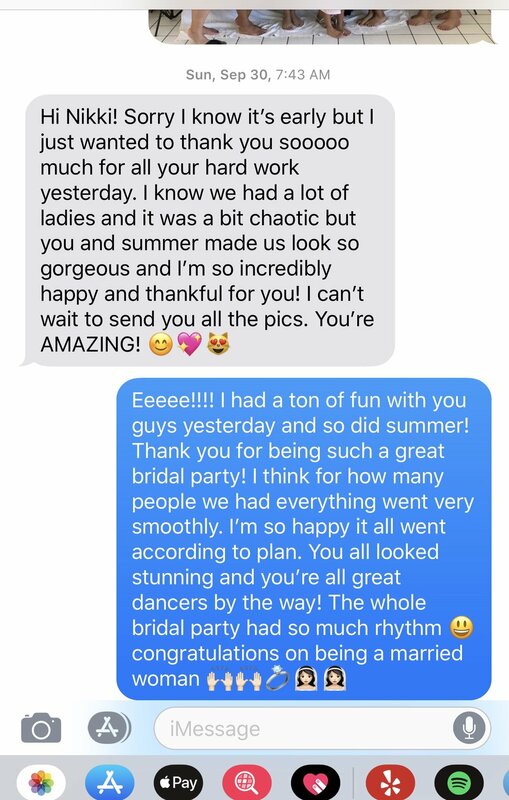 Take a peek at some “Morning after” texts with brides! 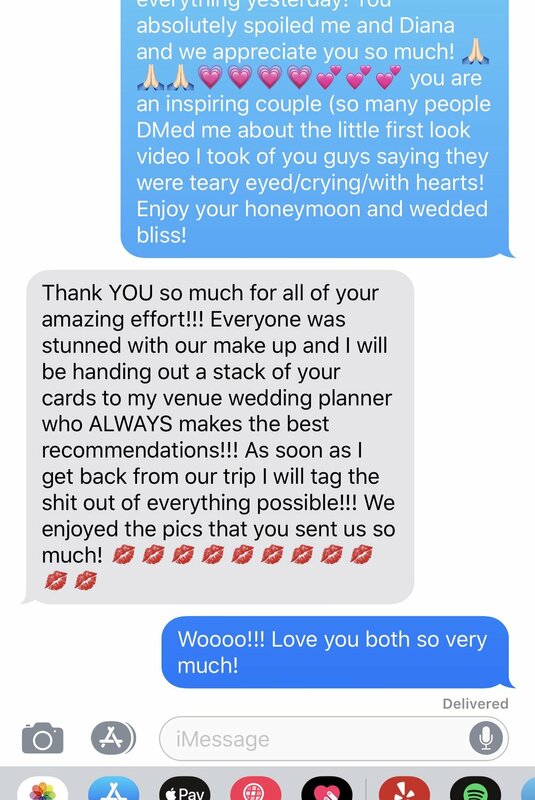 Dive in to Some of my favorite Yelp reviews from real women!